The Lodha Group proudly presents its new project Meridian in Kukatpally, Hyderabad. 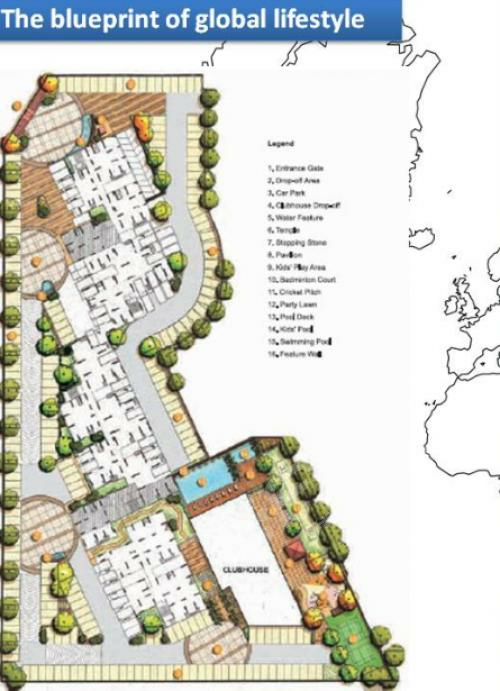 Lodha Meridian is located in the city's most sought-after area - Eden Square. 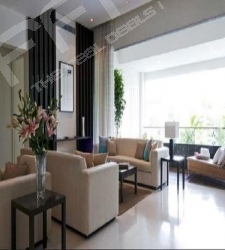 A truly global lifestyle awaits you at this property with all the luxury that one would associate with the Lodha brand. This landmark project will be a sleek & chic high-rise tower with 2 & 3 BHK apartments of sizes ranging from 1278 sq.ft. 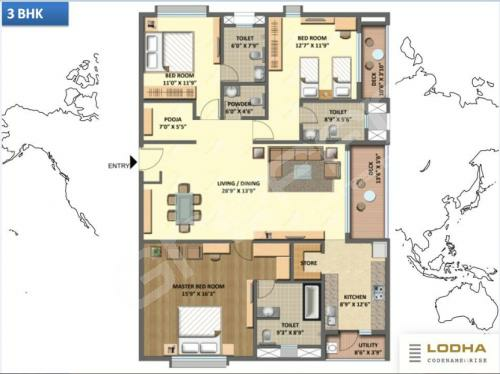 to 2259 sq.ft. The amenities offered are second to none which include water polo, Pool volleyball, barbeque area, movie lounge, library and video conferencing. A sky lounge and a discotheque, a one of a kind offering, gives the resident an option to have a good time within the complex. 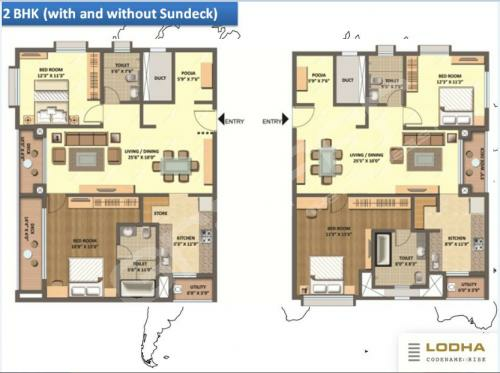 The spacious 2 & 3 BHK homes with marbital & wooden flooring are very well ventilated with 3 sides open. Amazing amenities for health & fitness, sports and recreation are on offer here at Lodha's new property. This new project is located at Kukatpally, Near HITEC City, Hyderabad. The location is very close to the National Highway 9. The HITEC City itself is like a well developed town and has all the facilities of a world class city. There is also a National Park situated close to this site, catching the attraction of investors. 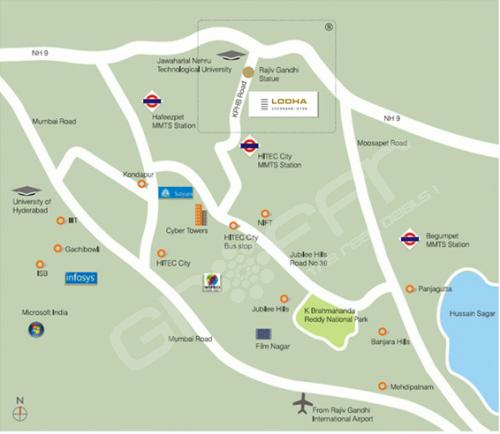 Established in 1980, the Lodha Group is one of India’s premier real estate developers. The Group is currently developing in excess of 30 million sq ft of prime real estate, over 27 projects in and around Mumbai, from Napean Sea Road to Dombivali. The group currently employs over 2300 associates and provides site-based employment to over 25,000 workers. And going beyond its role as a premier real estate developer, the Lodha Group has been a socially responsible corporate, focusing on education as the best medium to enrich society. Join the Group to avail group deals and best price for this new project by Lodha in Kukatpally, Hyderabad.